Imagine having The Biggest Loser trainers with you all day long, studying your kinetic activity, analyzing and guiding you. That's the power of SLIMCOACH. Our advanced Smart Body Technology provides you with comprehensive, real-time feedback throughout the day, helping you reach your daily activity goals. About the size of a small MP3 player, you just clip it on, put your goals into the online system, and start burning calories. Use every opportunity to get more activity into your day and watch the circle go from red to green. It's that easy. You don't need to spend hours at the gym or become an athlete to see the results you want. Small, consistent changes can equal big results. Walk the dog at a faster pace than usual. Go to the store or mailbox and leave the car at home. Or knock around a few tennis balls with a friend. Based on your goals and activity for the day, SLIMCOACH will go from red to green, offering you the guidance and motivation you need -- wherever you are. 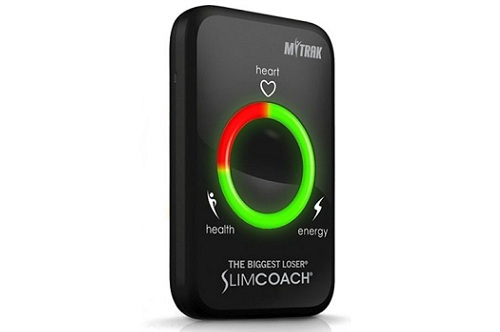 The SLIMCOACH allows you to set your fitness goals and helps you stay on track by the use of Smart Body Technology which analyzes your every move. 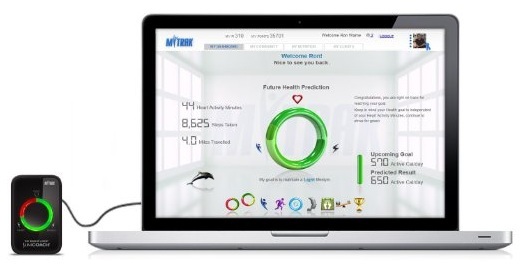 Receive real-time feedback on calories burned, activity levels, energy and heart health in order to make good decisions to reach your goals. Price: $34.65 & FREE Super Saver Shipping.